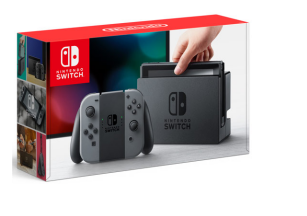 Sunday 21 Apr - Latest - Nintendo (£279.99), John Lewis (£279.95) and George (£279.00) currently have stock of Nintendo Switch (Grey). Amazon (£301.79), Very (£279.99) and Amazon (£268.22) currently have stock of Nintendo Switch (Neon Red/Blue). Argos (£329.99) currently have stock of Nintendo Switch Super Smash Bros Ultimate Edition.